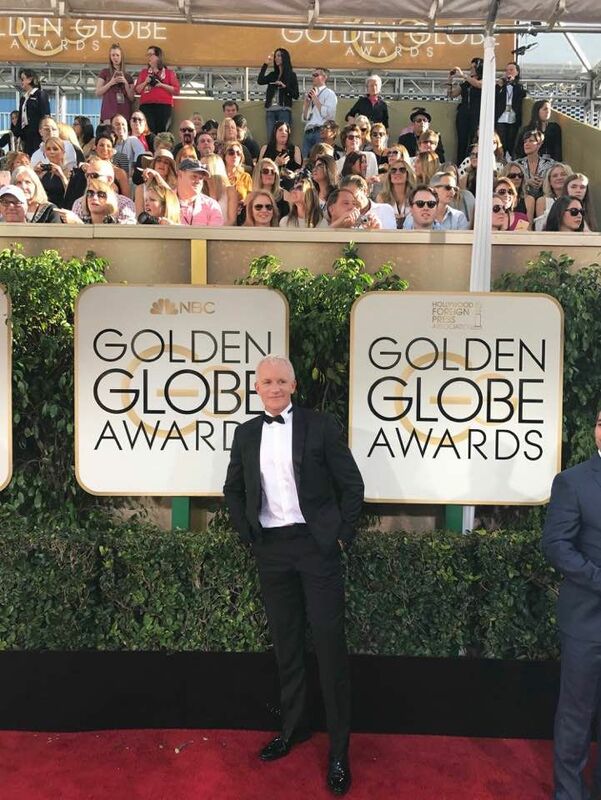 Geir Ness is going to be my “Inspiration of the Year”. He is one of the most amazing men I’ve ever known. He is such a great role model, and I believe that he would be an inspiration to others. 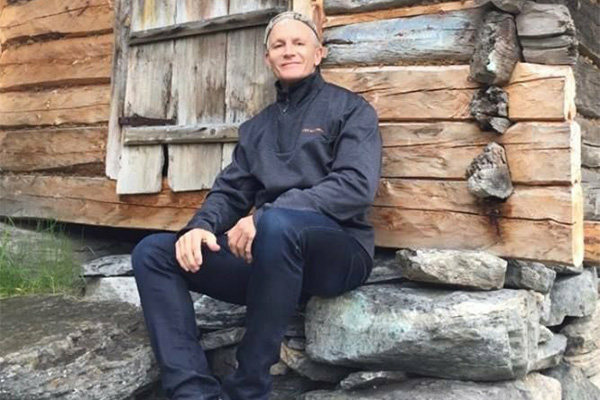 I recently had the opportunity to interview him in Chicago and I hope this interview will give people some insight into the story of a self-made man by the name of Geir. Tell us about the start-up and struggle and how did you manage to succeed? The start-up was difficult especially since I didn’t have any money. I got to the point where I resorted to selling my own clothes to get enough money to pay rent bills and eat. Here is my story! I was working at a well-known department store in Beverly Hills in the fragrance department to promote perfumes and because I had a strong accent, people always asked me where I was from, and when I said Norway, they asked me if Norway had their own signature fragrance and I always answered with the same response, no! A light bulb went off in my mind and I had the idea, since we didn’t have any Norwegian fragrance, yet I wanted to be the first Norwegian designer to create a fragrance. At the same time, it had to be a fragrance which I felt would represent my Mom, to show my appreciation and love for her. After some intense research, I contacted a perfumer, who I had met some time ago, and asked for his advice. He was very happy to give me exceptional advice and explained what the important steps are I needed to take to move forward with my new adventure. Following his advice, the first step was finding the ingredients that I liked and finding the flowers and herbs necessary for the fragrance. After I finally had all my ingredients together, I had to hire a chemist and find a good lab. Of course, everything was expensive, and I did not have the money to cover all of the expenses to develop my fragrance. But I thought of my childhood and how my mom always told me, “You can achieve anything in life, as long as you believe in yourself”! I decided to take the risk and venture into this business. I reached out to a friend of mine and I borrowed money with the promise, I will succeed! I maxed out my credit cards and I started to work on it for a couple of years until I finally created the scent that reminded me of fresh air in the Norwegian mountains. I designed my bottle and I copied my mom’s signature without her knowing it and silkscreened her name on the bottle and gave it to her for Mother’s Day. So far, I had produced only a few hundred bottles to sell. After several months approaching all of the major department stores, (always received a NO) I finally met with the buyer of Nordstrom department store and he eventually (after several meetings) agreed on taking a hundred bottles to see how much I could sell in three months. The catch was simple; if I didn’t sell I had to take them all back and I only had one chance to make it happen. Realizing this was my one shot, I had this great idea to pretend I am already a big star. I went to a garage sale, bought a suit for five dollars and a small red carpet. It was like the universe was guiding me and showing me, I was heading in the right direction. I called a good friend of mine from acting school, he was a photographer and asked him if he could come down to Nordstrom and take pictures of me when I launch my fragrances. It was also my first personal appearance, so it needed to look like I was a big star from Norway. He told me he didn’t have any film in his camera and couldn’t afford to buy any and I simply said, “Who cares, nobody will know, just keep clicking the camera and make me look like a star”. I invited all my friends from acting school to come out and they pretended to know me as the famous Norwegian fragrance designer. The day before Mother’s Day was my big launch day. I was dressed up in my new suit from the garage sale and placed the red carpet in front of me at the counter and behind me were all my bottles with my photos. I made sure when customers entered the store, they could not miss me and had to walk to meet me, because there is this guy with his blond hair, photographer flashing his camera lights and surrounded by many customers already (of course all of my acting friends) that had to make them think he must be somebody very, very special and famous. In one hour, I sold out all my bottles and even got people on the waiting list for back-orders. That’s how I started my adventure/business and the rest is history. What are your inspiration behind Laila and your success? When I was a little boy, my mom always took me out for hikes either in the mountains or outdoors in parks or we visited the Fjords of Norway. She was always my rock and strength, made sure I had a loving and caring childhood and raised me to be a respectful person. I wanted a scent that reminded me about my childhood memories, something fresh and clean. Of course, I named it after the love of my life: My Mom! 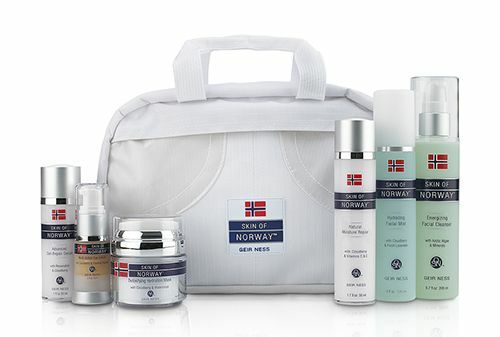 My skincare line (Skin of Norway), just like my fragrance, has to be clean, light, and fresh. Seeking native herbs like those harvested from the mountain hillsides, I harnessed the power of locally-sourced antioxidants, hydrators, mineral chrono-energizers, and cell-repairing agents. These natural ingredients were specially selected to protect the skin from damage, make it resistant to premature aging and restore the skin’s normal function even in harsh environments. I created veritable cell-life cocktails designed to maintain healthy skin throughout your life. All of my products, current, and future, will always be based on the same inspiration and principles of being, light, fresh and clean just like the air of Norway. 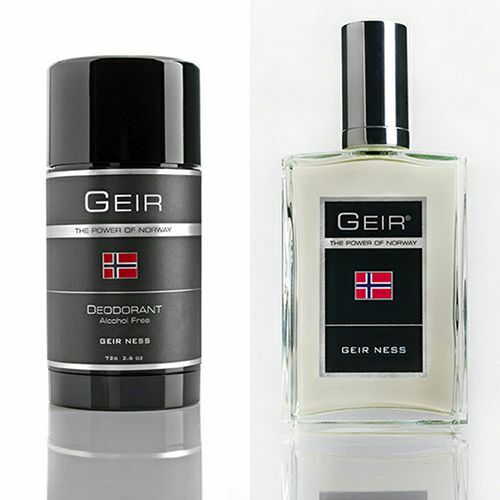 Geir fragrance, just like Laila, was created to bring a new clean, crisp scent for men to the market. I wanted to personalize this one so used my own unique name to place on the fragrance. I must say, I was elated to work with Disney to develop Disney’s first fragrance, an homage to its’ fairytale environment. It was an amazing opportunity for me to work with Disney to create a fragrance that is unique and meets the high standards of everything that is Disney. It was a lot of pressure to develop something that would capture the essence of the multi-billion-dollar blockbuster film and I am so pleased to have had the opportunity to be a part of the Walt Disney dream. After all, a lovely fragrance is a forever memory. Your fragrance is a favorite of many celebrity events, can you share a few? My products have been part of gift baskets to events through the ever-popular swag-bags for selected guests at the MTV, Tony, and Grammy Awards, Miss Universe and Golden Globe, just to name a few. What advice do you have for someone starting a small business? Believe in yourself, never give up and surround yourself with positive knowledgeable people. What advice do you live by and what makes you happy? My mom has always taught me to do the best I can, try to be every day a better person than I was yesterday and most importantly, make a difference in another person’s life! Because of my fragrance, I have been very lucky to meet a lot of wonderful people from all walks of life and through my conversations, I learned much about cultures, history and of course business. It made me a better person and realizing how fortunate I am with what I have achieved. It is important to me that I help and support those less fortunate, but in particular our wonderful 4-legged friends because they can’t speak for themselves and need a voice. Whenever time allows, I try to visit animal shelters around the country and try to bring some happiness to those beautiful sweet four-legged friends that really, really need a lot of attention, support, and love. What are your favorite foods to eat while you’re traveling? I travel about 280 days a year and always find ways of eating healthy and try to make wise choices by picking the right foods. I love chicken and turkey for lunch or dinner but in the morning, I prefer egg whites, spinach, broccoli and tomato which is very healthy. And, I drink a lot of water. I am a huge fan of salads (but no crème dressing, just balsamic vinegar, a bit of olive oil and spices). Three to four days a week I have Salmon with steamed vegetables. Here and there I allow myself one glass of red wine. I love Spain! The people, the food, the culture, it gives you a feeling of belonging and comfort. But moving to the states, I fell in love with New York City, and its great energy and an incredible melting pot of people from all over the world. I’m a big fan of musicals, so Broadway is where you will find me when I am in NYC. Well, for sure working out. I love my time at the gym, just leaving my cell phone and my work in the locker room and forgetting for an hour, everything business oriented and just have some me time! It is very important to me to have a balanced life and a balanced Geir! Who is your favorite fashion designer and what’s your favorite style? I will always be an Armani fan! With so many new designers, I always find a new love for their fashion style, but my personal favorite is more casual, stylish, chic and fitted. I like to mix and match. What’s the best way to describe the women who wear your perfume? I really can’t answer that question, because I have young teenagers who love my fragrance, mothers, and grandmothers. The women who wear my fragrance come from all walks of life, but what they all have in common, they want something different that feels fresh, light and makes them feel happy. Every new beginning is a struggle. The trick is you have to believe in yourself and don’t be hard or judgmental on yourself either. The struggle teaches you that nothing comes easy and you have to put all of your effort into your work. Trust me, I have scrubbed floors, I worked odd jobs to make end meet but I always kept moving forward and eventually things changed for the better. Never give up and be good to yourself, never put yourself down and if somebody else tries to do that, stay away from them and surround yourself with good people that you know will always be there for you in good and bad times.